When starting guitar the first choices you make will open or close doors to long term goals. 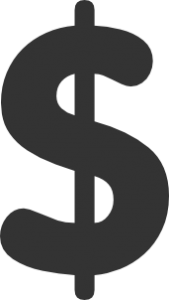 This article is designed to minimise your investment of time, cost and frustration by increasing your awareness of early obstacles to progress that may clutter the pathway to rewards. The Guitar you choose will direct the way you play. I recommend a nylon string guitar for beginners. 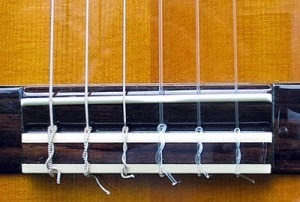 Nylon strings are softer on the left hand, reducing the temptation to compromise technique by straining, and the wide fingerboard encourages the left hand to good form and movement. The narrow neck of a steel string guitar can tempt a student to strain one muscle group as he atrophies another. The strings are closer together on the steel string guitar, which makes it harder to discriminate between strings plucked by the right hand. 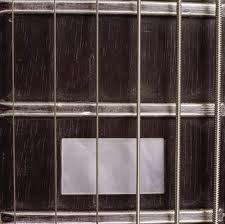 Once good habits are comfortable it is easy to switch to a steel string model (Starting with nylon preserves options). Don’t put steel strings on a nylon string guitar or nylon strings on a steel string guitar. The inner bracing of the nylon string guitar is planned with tone production in mind. The steel string models have an inner bracing that is designed for greater strength (to support the greater tension of steel strings). A steel string guitar derives it’s tone from the higher tension, and the nylon strings resonate more from the wood. Both produce a beautiful sound with the strings they are designed for. Steel strings damage a nylon string guitar, and nylon strings have too little tension to sound good on steel string guitars. Many of my beginning students come to me with guitars that will hold them back. The most common problem is high action. New guitars don’t come from the factory to the retail store with perfect action. The cosmetics are perfect, but the action is usually adjusted slightly higher than it should be because shoppers check for string buzz . High action assures that slight deficiencies in fret level, truss rod adjustment, and bridge or nut alignments are not apparent. This problem is exacerbated when reputable shops return faulty guitars to a factory that processes the complaint by shipping that guitar out to larger retailer who offers discount prices but no service. This problem can be largely solved by shopping only where your guitar will be serviced. Follow up service is more important than cosmetics. If you buy a “pretty” guitar at a clearing house type of store you will pay the price in lessons, and fail to develop good style. Price tags and eye appeal are poor indicators of quality. An ugly guitar may make you sound good. Confer with your teacher who is invested in your progress rather than a salesman who is invested in his commission. Lessons Private lessons are most essential in the early stages before habits are solidified. Class lessons are not very good for the beginner because they don’t allow for the detailed guidance required to establish good technique. I teach classes on the many topics that lend themselves to classes. Ensemble playing requires a class. I do workshops and masters classes when I perform. It gives me a chance to dispense literature and share ideas. But I am often saddened when a player can comprehend a great idea but will never play it because his technique took a wrong turn in the beginning and kept on that course until his muscle memory was locked. Choosing a teacher requires some considerations. Ask your perspective teacher to sight read some music for you. Degrees are an indicator since most music majors can sight read, and answer questions about music fundamentals. Hear your teacher play to see how flexible he/she is. If your teacher is on the road performing a great deal ask how often the lessons might be disrupted, and if substitute teachers will fill in the gap. Some work harder than others in the beginning, but there is no one that is incapable of advancing in music. Don’t erode your self confidence by saying you can’t. A choice to stop is often appropriate and OK. But if you follow the practice schedule below you will find the rewards hard to resist. Practice Schedules vary from person to person. Here is a general outline (as a starting place) that is easy to work with, and productive. The first few weeks are short because building new skills require concentrated attention. Practice is the art of building new skills. Playing is the use of already learned skills. Since your reservoir of skills starts out empty, your first guitar experience is largely work. If you try to do too much too soon without the reward of playing you may tire. Adjusting your life to sitting with the guitar at the same time and place each day is a great accomplishment, as great as the practice itself. Week one: Ten minutes a day at the same time and same place each day. Week two: Twenty minutes a day at the same time and same place each day. Week three: Thirty minutes a day at the same time and same place each day. Week four: Thirty minutes a day at the same time and same place each day. Notice that I stopped adding time after a half hour. That is because this is practice time rather than playing time. Play all you want, and you will, because this half hour of concentrated practice daily will fill your reservoir with wonderful skills. I promise! I have been asked why companies choose Multi-Level Promotion, Network Promotion or Direct Sales over common retail storeCommon retail starting hr stores. The reason becomes clear when reading the meaning of Multiple Stage Promotion. This ADM full sized Clasdical guitar is a great beginners guitar. I can't wait to give this to my very musical grandson for Christmas. He will love it. We took it out of the package and set it all up. My husband tuned it and played it for a little while. It comes with so many items. Capo, stand, extra strings, foot rest, and cleaning clothes. I was so happy to see everything It's a fantastic deal. A great beginning item. I give them an Aplus! You can't go wrong.